Modern Warfare Remastered brings this classic back in full HD for a new generation of console gamers delivering the epic action, visceral gameplay and immersive experience that only Call of Duty can deliver. Change your Horizontal and Vertical Sensitivity. Long-range engagements are common in Modern Warfare Remastered, so if you find yourself over-compensating your aim, it may help to reduce your sensitivity until you have your aim dialed in. Manually cancel your reload as soon as the bullet icons appear in the bottom-right corner of your screen (by double-tapping triangle), instead of waiting for your weapon to finish reloading. This allows you to bring your weapon to bear more quickly, and with a full clip or chamber. Make yourself more difficult a target to hit. Instead of jumping about, try strafing from side-to-side and — once in a while — use the “dropshot” technique (during frantic close-quarter fights). That is, dropping into a prone position while moving and firing at a foe, to make yourself harder to hit. Use the Tactical button layout when employing this trick. Instead of climbing (AKA mantling) through open windows, attempt to jump and crouch as you pass through a window. It’s slightly faster and keeps your weapon poised for firing. Reduce your exposure to other players by utilizing cover (behind low walls, barrels, and jutting environmental scenery), thus making yourself more difficult to hit. Conversely, lob in a grenade if a foe is hiding to flush them out. Sprinting blindly around a corner is foolish, as you’re likely to run into an enemy waiting for you; when you approach corners with no knowledge of what’s on the other side; then don’t be reckless; instead you should slow down, step out, and then deal with threats. This can reduce your deaths. Both these perks should be at the top of your list: Juggernaut allows you to take more damage, and is good for beginners learning the layout of maps (as you can survive for longer), while Stopping Power grants you more damage to your weapons; perfect for one-shot kills with more powerful weaponry. 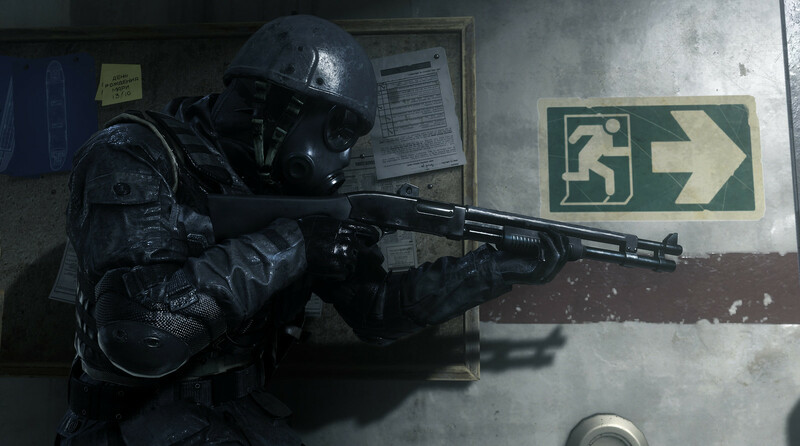 Whether you’re visiting Modern Warfare Remastered for the first time, or reliving your chaotic campaign time with Captain Price, Gaz, and the crew, our tips only scratch the surface regarding the deeper tactics present. Choose and perfect your preferred weapons, combine them proficiently with appropriate perks, learn every alleyway and lookout spot on every multiplayer map, and earn the optimal XP as you aim to unlock Prestige Mode. These are all part of the Modern Warfare Remastered experience. Now gather up your ghillie suit, sharpen your skills, and we’ll see you on the battleground.